Transportable ..... Home, Bach, Granny Flat? Great addition to lifestyle block, farm, bare section or back yard. Being the ideal size to fit within the second dwelling restrictions. 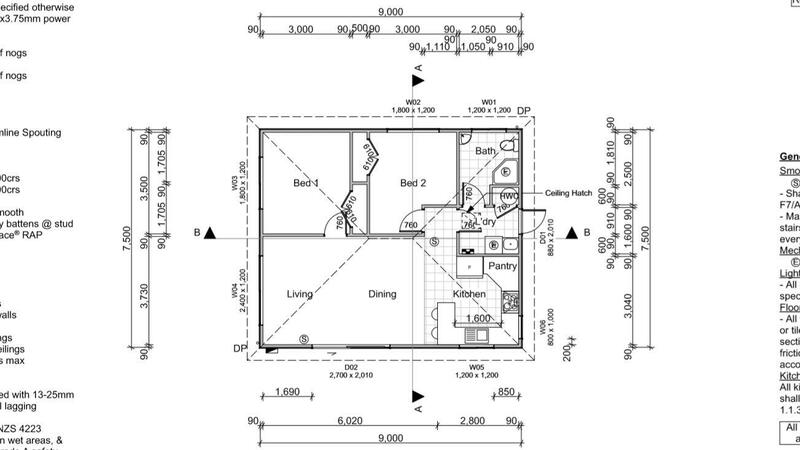 This new 2 bedroom home is 67.5 m2, built to high wind zone specs, comes with code compliance and is ready to shift onto your site. Clad in fibre cement weatherboard with a colour steel roof and colour match *PVC spouting the home comes with the interior painted, carpet and lino, Beko hob and under bench oven, open plan living, separate laundry and 135lt Rheem mains pressure hot water cylinder. The double glazing and full insulation make this a little hottie for the cool winter months. The price does not include transport or any consents or services at your end. *Spouting supplied but not installed.